English Schools FA in Seven Heaven... - Mark Harrod Ltd.
Sports equipment designer and manufacturer Mark Harrod Ltd has renewed its partnership with the English Schools’ Football Association (ESFA). The third season supporting the national governing body of school and college football as Official Goalpost Supplier sees the leading supplier once again poised to provide a host of 7-a-side goals to the ESFA’s national finals climax next May. Those venues are often at the elite end of the national game – Stoke City FC’s bet365 Stadium in Mark Harrod’s first season of support in 2016-2017, then Coventry City’s Ricoh Arena last year. The goalposts are utilised for the ESFA’s Danone Nations Cup U11 7-a-side competitions, culminating with four National Finals, usually in May. Teams compete within the Association’s small schools, schools’ cup, girls’ schools and inter-association (district) competitions. The fixtures progress from district, then county, to regional level before finalists battle it out for what is a memorable day for every competitor. 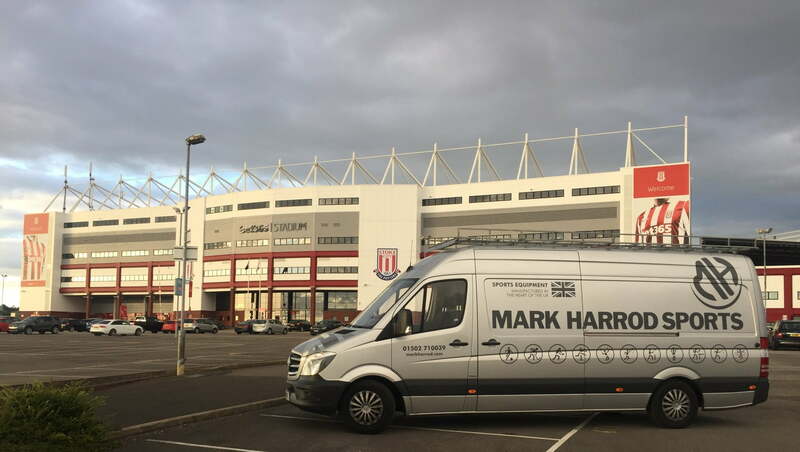 Under its support for the U11 Danone Nations Cup national 7-a-side competitions, Mark Harrod Ltd also has one of its van fleet on standby to transport goals, as well as cornerposts, to the finals venue. Finals for all four competitions are staged simultaneously, following division of the venue pitch into quadrants. The 2019 climax holds special significance, Sarah adds. “The winners of the Inter-association tournament from both this season (2018) and next will compete in Barcelona at the Danone World Cup Finals, along with the two winning Girls’ teams, for the first time in ESFA and Danone Nations Cup history,” she reveals.